OFF OUR TROLLEYS: Why does Ireland seem to get such poor value for the money it spends on healthcare? Ireland’s hospitals and health system are plagued by long waiting lists and poor patient outcomes, even though we are told we spend more for healthcare per person than the vast majority of countries. FOLLOWING THE HERD: Why are Meningitis C vaccination rates so far behind target in parts of Ireland? For many parents, the word meningitis is enough to send shivers down their spine. In Dublin, a major row has erupted between a local council, the National Transport Authority and local residents. SHORT-TERM LET, LONG-TERM PAIN: Why do councils struggle to put a stop to properties being used exclusively on sites like Airbnb? Property owners can pull in hundreds of euro per night renting out homes as round-the-year accommodation on platforms like Airbnb and hotel booking sites, making similar amounts in a week to what they could otherwise expect to receive in a month or more from a long-term tenant. NOT SO FAST: Strategic Housing Development speeds up planning process for developers but is it helping increase the supply of accommodation? In June 2017, Housing Minister Eoghan Murphy introduced a new system of fast-track planning for housing developments. LATE INTERVENTION: Why does it take over two years to get early intervention appointments for some children? PROTECTING THE PROTECTORS: The mental health crisis in the Defence Forces. Almost a year ago, the only psychiatrist working in the Defence Forces retired from his post. SINK OR SWIM: How could an historic sea baths get renovated yet remain closed to swimmers for six months each year? It cost €2.4 million to refurbish with local residents hoping that their long-closed sea water swimming baths would finally re-open to the public. IRELAND’S ADDICTION: Why is there so little regulation of the ‘crack cocaine’ of gambling? POLITICAL PENSIONS: How much is paid out each year in political and ministerial pensions? Until last year, the Department of Finance published details of how much it paid in pensions to former ministers, taoisigh, presidents, judges, and other ex-officeholders. AWAY FROM PRYING EYES: Why do some local authorities still not webcast their meetings? Almost fifteen years ago, Fingal County Council became the first local authority in Ireland to make its council meetings available live online. 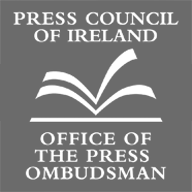 COMPO CLAIMS: Does Ireland really have a ‘compensation culture’? The government minister responsible for the insurance industry has said there are 'clusters' for compensation claims in Ireland. SELLING THE FAMILY SILVER: Dublin City Council's plans to 'consolidate' 33 valuable depot sites. Across Dublin city, there are a network of 33 council depot sites – many of them located on prime development land. INFLATING GRADES: Is it getting easier to graduate with first class honours? Almost every generation seems to think they had it much harder than the one that follows.